It’s important to get as much out of life’s adventures as possible and make the most of every opportunity for that little bit of extra magic! At The Insurance Emporium, we pride ourselves on helping our customers make the most of their passions, by hopefully removing the worry should something unfortunate occur. Read on to discover our three key types of insurance, and why they could be perfect for protecting what you love in life! Your wedding day should be one of the most magical days of your life, but it will be the result of months (or even years!) of thorough planning. Imagine the frustration should your venue be flooded, the caterers fail to show up, or your best man loses the rings! Whilst wedding insurance can’t prevent any of these from happening, it could help remove the headache that might ensue! 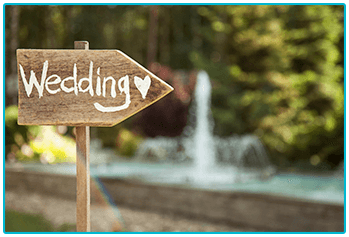 Knowing you could have the funds and opportunity to make rearrangements in a matrimonial emergency could provide real peace of mind. It might be a great way to make sure your big day remains all about you – not the things that went wrong! Find out more about our Wedding Insurance here. The UK is renowned as a nation of pet lovers! Our pampered pooches and top cats are often part of the family, however, unlike for the rest of the family, there’s no animal NHS! This means that if your pet becomes unwell or has an accident, there can often be some hefty vet’s bills to look forward to at the end. 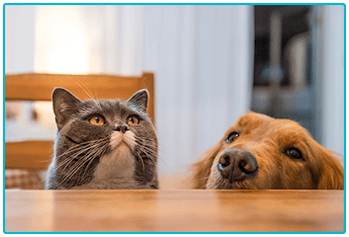 The last thing you want to have to worry about if you or your pet becomes unwell is how to pay the bills; which is where pet insurance comes into its own. Taking out cover for your dog or cat can help avoid the stress of coming face-to-face with the costs of healthcare, as well as the potential extra costs of looking after your pet should you fall ill. Although it’s not a legal requirement to have pet insurance, it might help to save headaches and heartache further down the line. Find out more about our pet cover here. Whether you have dreams of going pro, or just a casual hacking habit, horses are an expensive investment. 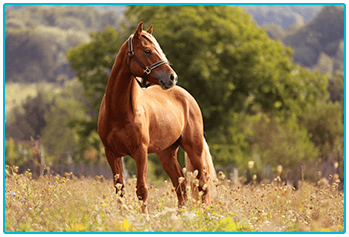 From the cost of the initial purchase to the money required for their ongoing care and upkeep, your horse could quickly become one of your most expensive outgoings! To set your mind at ease over covering the costs of any future mishaps for both yourself and your horse, and even replacing any expensive equipment, taking out equine insurance might be a great idea. No matter what your motivation might be for horse ownership, having horse insurance could help you ride high with your equine ambitions! Find out more about our equine policies here. Most of the time, when you’ve just bought a dog, cat or horse, or you’re starting to plan your big day, insurance is the last thing on your mind! However, it’s something that can make a big difference if the unexpected or unfortunate occurs. From pets to fishing, or weddings to golf, at The Insurance Emporium, we offer insurance for all of life’s passions! Head to The Insurance Emporium today to find out more!